Though Ancient VVisdom come from Metal backgrounds, i.e. Integrity, HOD, and Iron Age, the band cannot be counted as Heavy Metal. 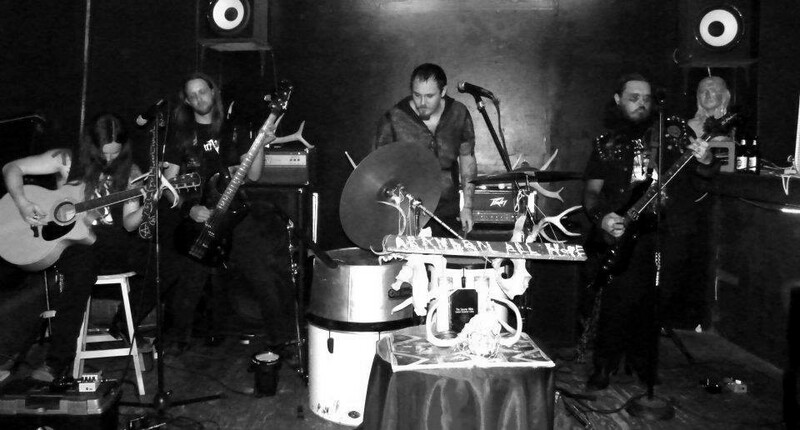 They embrace an ethereal quality that is both dark and soothing using an array of instruments and objects made into instruments…machetes and chains for instance. 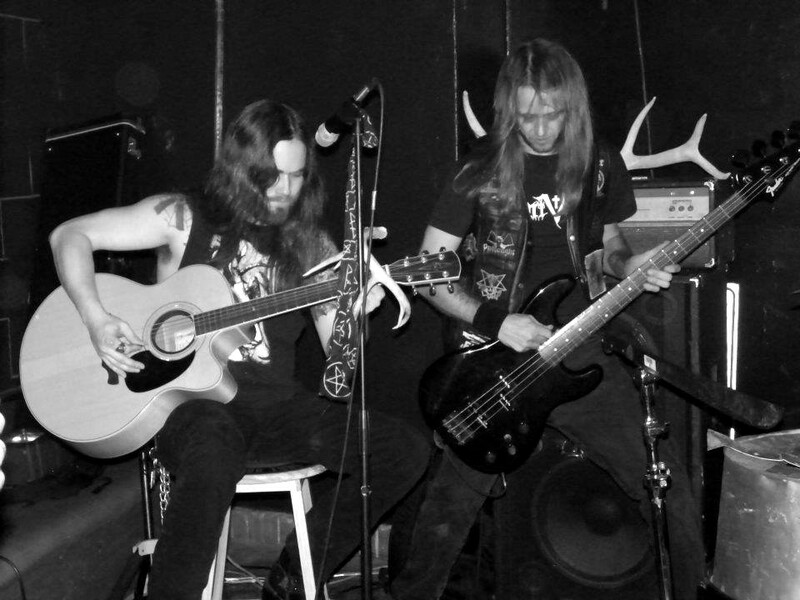 I first learned of Ancient VVisdom from their bassist, TA, and the first thing out of his mouth was, “It’s not Metal. You’ll love it, but it’s not Metal.” True words. 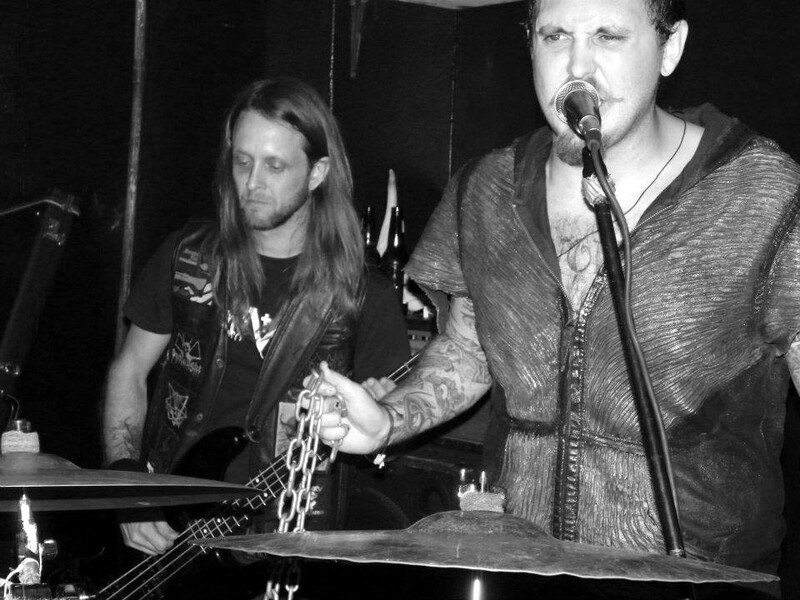 I recently caught their show on a tour with Venomous Maximus in Houston; a haunting experience I encourage all our readers to indulge in. I also had an opportunity to converse with founding member, Nathan Opposition, about the inner workings of such a unique band. Here is what he revealed. LSM: What is the driving force behind Ancient VVisdom? Nathan: Creating and destroying vvorlds and realms. Expressing the visions of the Cult of Order. LSM: What are some elements that contribute to your sound? Nathan: Abstract percussion including a machete, chains, and knives. Acoustic guitar to add warmth, electric guitar to add crunch, thundering bass to add power, vocals and lyrics that create and destroy. LSM: The dynamic of this band is diverse in various genres of Metal. Tell me how the band exists as the sum of these diverse parts, i.e. the band members’ musical background. Nathan: VVe all come from many different music backgrounds. For example TA, our bass player, plays in the band, HOD, blackened/death metal. I played drums in Integrity. Michael has been in many bands including electric guitar for Integrity. 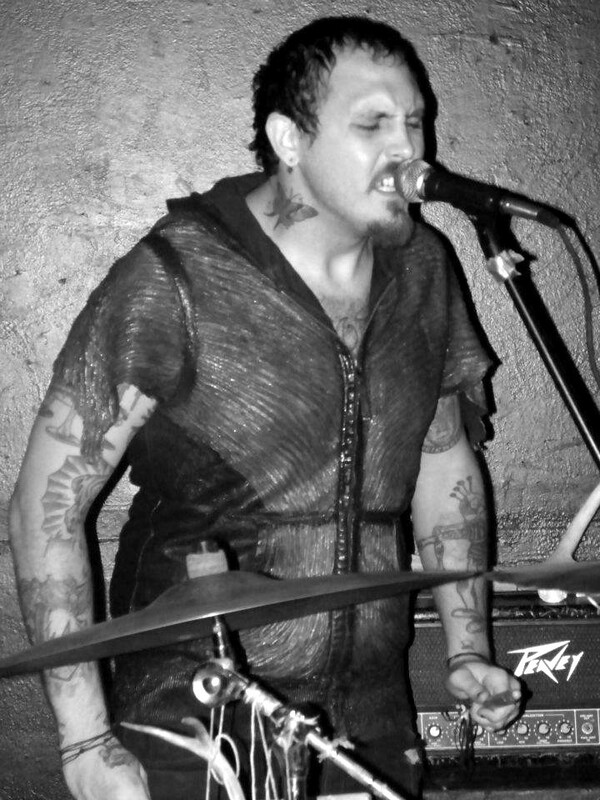 Ribs was the touring bass player for the band Iron Age. LSM: What are your immediate goals for the band? Nathan: To take over! VVe have a ton of new songs, concepts for videos, live ritual intensification, etc. VVe also want to tour and travel the vvorld…what’s left of it. LSM: Where did the inspiration for your unique drum kit come from? Nathan: Experimenting in the studio, trying different sounds for different songs. Finding new ways of making noise. I wanted to go NON traditional with the percussion. LSM: Take me through the writing process for Ancient VVisdom. Nathan: The Sorcerer never reveals the secret…. LSM: I want to dive into one of your songs; “VVorld of Flesh.” The video for the song was shot with director, Sikander Khan this year. Who is he and what was he like to work with? Nathan: I’ve known Sikander for years, great friend of mine. He is a professor at the Austin School of film, a visual artist/editor, and a skateboarder. You can find him skating in the 2011 film Slacker! Sikander is excellent to work with. He really knows how to create visual destructive chaos magic, Ancient VVisdom style. Next vveek vve begin production on a music video for a little song called Devil Brain. LSM: The video, much like the band, has a certain primal edge. Was this an intended vision you guys had for it? Nathan: Naturally, yes. Captured and controlled chaos magic is my way of describing it. This is who vve are, vve kept it true to our nature. LSM: What were the lyrical inspirations for this song? Nathan: A lot of different things, the evil, the horror, the reality of horror, the horror of reality, the inevitability of death and doom, our daily crawl towards the grave. And Also At Midnight I will take your soul and Tonight I’ll possess your corpse are also two great Brazilian horror films! LSM: A Godlike Inferno, released on Shinebox Recordings, involved an array of guests and instruments like bamboo and machete percussionists and upright bass. Tell us about the recording of this album. Nathan: VVe wanted to give the album a lot of depth, using different layers, instrumentation to give it our own sound. VVe worked with Jason Buntz at The Bubble, who has a lot of great ideas. Also Wade Allison from Iron Age, Chase, Alex Hughes (upright bass), it was a really cool process working with all our friends to make this album. Can’t wait to do it again! LSM: What does the future hold for Ancient VVisdom? Nathan: A new reality unfolds soon. VVe have been very busy little devils. Nathan: The Cult of Order is Law. Law of Order: Recognize our existence as human gods. Creating post Christian philosophy. New vvorld occult and Satanism. Creators and destroyers of vvorlds and reality. The Cult of Order.